Be the first to hear about their new releases and deals. 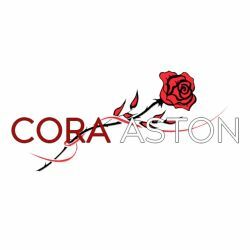 Download the Booksprout app and search for Cora Aston today! I suppose I should talk about myself in the third person, but I'm not going to. (Smile.) I'm a wife, a mother of four, and a lifelong tinkerer. I've dabbled in many different crafts and hobbies including jewelry making, baking, sewing, drawing.... And, of course, I am a lifetime avid reader of romance. Escaping into the 'simpler' time of Jane Austen when gentlemen were required to court a lady with marriage in mind, and we didn't have to wheedle our daughter's into ditching the ripped black goth jeans in favor of a skirt....sigh. Bliss, right?